SANTA CLARITA, CA–May 11– Dr. Justin B. Heller, of Heller Plastic and Reconstructive Surgery, has been named AV’s Best Plastic Surgeon of 2016 for the second year in a row. Dr. Heller is a highly trained board-certified surgeon who graduated from the Yale School of Medicine and trained at UT Southwestern in Dallas, TX. In business since 2012, he performs both cosmetic surgery and reconstructive procedures designed to restore appearance, functionality, and mobility. His exacting standards ensure the results of each procedure look natural and beautiful. Heller employs the latest techniques and advanced technology to perform a wide range of procedures, including breast augmentation, lifts, liposuction, scar revision, and “Mommy makeovers.” A minimally-invasive approach ensures safety and rapid recovery from any work done. Dr. Heller is noted not only for achieving natural-looking aesthetic improvements for his patients, but for a warm and caring nature. Patients often describe him as honest, caring, and thorough. He makes sure to explain all of a patient’s options for any procedure without pushing them in any direction. Patients are encouraged to ask questions at any time, both before and after procedures. He and his team strive to be available at all times to answer any questions or concerns that may come up. The Antelope Valley Press has been publishing their annual AV Best Awards for the past 25 years. Recipients are noted for putting “a maximum effort into serving their customers,” as written by Antelope Valley Press Editor Charles F. Bostwick. 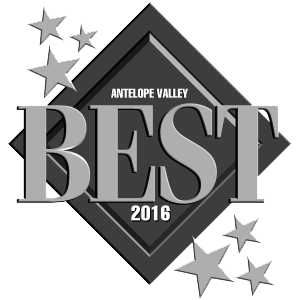 The AV Best Awards are nominated and voted on annually by readers of the Antelope Valley Press. The best services, products, and experiences are all chosen and given a plaque to display. Categories range from Education, Food and Drink, and Home and Garden to Beauty, Shopping, and Healthcare. Dr. Heller is among twenty healthcare professionals in the Antelope Valley honored for their dedication to patient care and exemplary work. Dr. Justin Heller, MD is listed as a board-certified plastic surgeon serving communities around Los Angeles, Long Beach, Lancaster, Valencia, and Santa Clarita. He possesses advanced specialties in plastic surgery that have benefitted numerous patients.